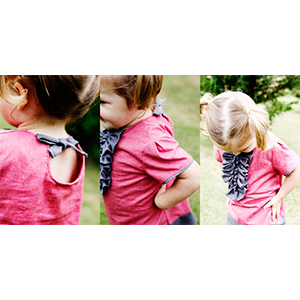 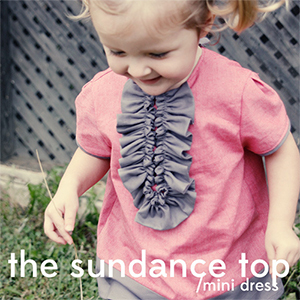 THE SUNDANCE TOP/MINI DRESS is a mini dress or top with contrast band with bow closure in back, ruffle feature in front. 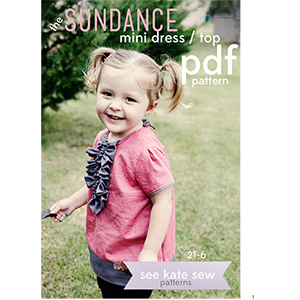 Difficulty: beginner to intermediate, recommended for sewers with experience with sleeves and ruffles. 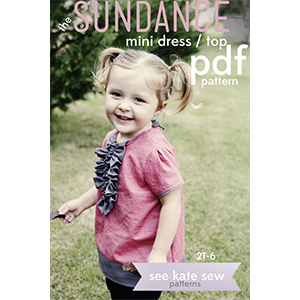 20 pages of pattern pieces and full-color photographed instructions Pattern has sizes 2T, 3T, 4T, 5, and 6 and is suitable for beginners.